During the week I’ve been after SOE to get my account unbanned. 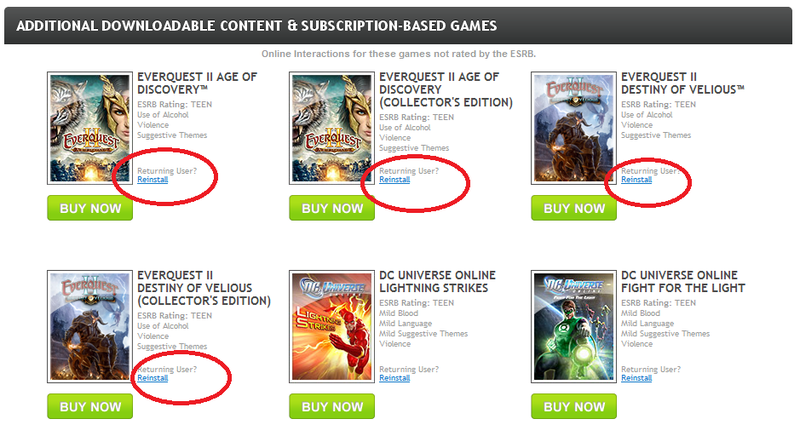 You’d think after buying a game code it would be solved, but no such luck. I purchased a 90-day game card to pay off the balance, and then tried to get into the game. I ask support, and they seem to have a hard time figuring out what is wrong. Eventually, we determine it’s the station launcher. Now supposedly, this has not been supported for months or years, but it’s what I was using back in May to access the gameworld. 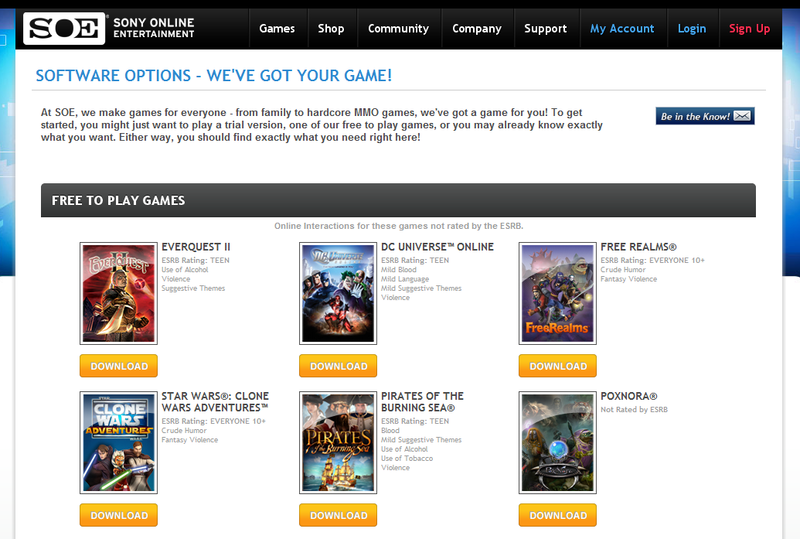 It certainly doesn’t hurt to find out “Free To Play” is being launched during the same week. I missed it since real life is interrupting my trolling through forums. OK – so what do I do ? I am trying to get two games working, POTBS, and EQ2. If the station launcher doesn’t work, what will ? I asked support, but they were taking a bit to update the ticket, so I started messing around. The SOE forums talked about a “Launchpad”. The CSR told me the new launcher was maroon with a gold border. My station launcher (downloaded on 12/6) was blue. Nobody on the launcher forum had posted a clear “Click here” kind of thing. Something is totally wrong and I figured I had better just experiment. So I open up the games folders and run something called launcher inside of them. 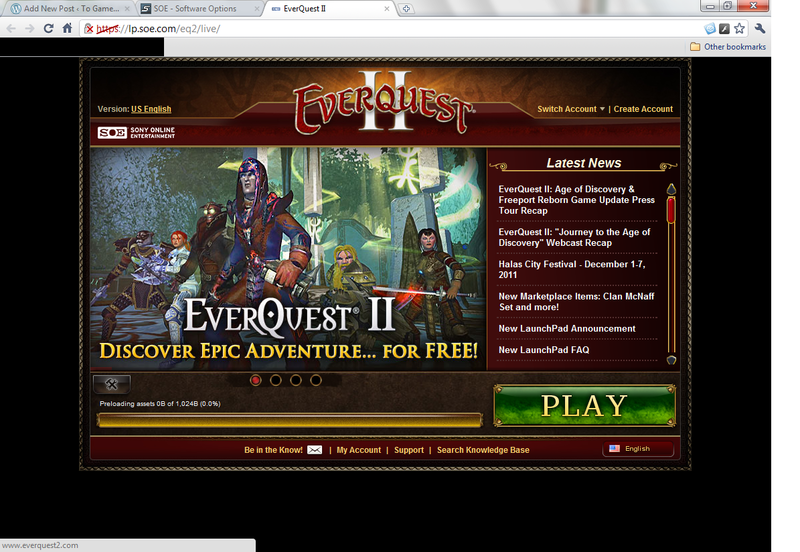 No dice – EQ2 says the game version is different and refuses to run. POTBS crashed. OK, let’s try something else. I ran the game executables. Neither of these worked either, one complains that you must run the launcher (Which no longer works, natch) and one didn’t do anything at all. At this point, I figured I’m hosed. I’m going to have to go with a clean install. So i deleted the games and downloaded the installers from this address. But the problem is, I failed to read carefully enough. See this screenshot ? Seems like I better click on one of those. But it turns out that for a returning player…. you need to scroll the webpage down farther. Argh ! That’s a 20GB of data and hours of downloading mistake. Argh. This is a better one to click on. One of the things that’s been done is to make the process of getting the game downloaded and running quicker, and to that end they’ve created some super-automated method of downloading the game and installing it. I ran it and for the life of me could not figure out where it was installing or what it was doing. In a browser. Auto downloads and installs. Note the broken "secure" connection. Oh, and all those links displayed give an error. I am far too much the computer dork to accept that. You will not download and install the game in some secret corner of my hard drive, thank you. But after downloading the correct installers, 20GB of data (which I had previously deleted), I finally got both games to work. Banination is over. And I have to say I am pleased with the support staff from SOE who did a lot to get things up and running. All I have to think about is the miserable support from Oracle corporation and these people look like saints. Play ? Who’s got time for that ? Hopefully during the week or whenever I can get around to it.